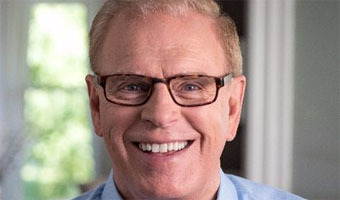 The Wealth and Poverty theme hosts Wealth and Poverty Week on Urban Challenges, featuring Ted Strickland (former Governor of Ohio) discussing “Restoring the American Dream and Securing a Stable American Democratic Society” on Monday, Oct. 30, from 3-4 p.m. at Alden 319. Strickland grew up in a large family in the Appalachian region of Ohio. Although he was the first of his family to go to college, he has earned two master’s degrees and a Ph.D. Elected to congress in 1992, Strickland represented 20 Ohio counties stretching from the Cincinnati suburbs to the suburbs of Youngstown. He served 12 years in the House of Representatives until he ran successfully for governor in 2006. After leaving office in 2010, he was a Fellow at the Institute of Politics at Harvard University, served as an alternate delegate to the 68th United Nations General Assembly, and participated as a member of the Governor’s Council at the Bipartisan Policy Center. Abstract: This presentation lays out the challenges and policy choices facing the United States as we work to create an economy that provides a safety net for our most vulnerable citizens, supports a growing middle class, and strengthens our democracy. Beginning with Lincoln’s vision of the “American Dream” and continuing up to the present time, we consider two theories of economic growth: Demand-Side Economics versus Supply-Side Economics. It is imperative that Americans recognize the importance of the economic choices which must be made. This Wealth and Poverty talk is open to the public. Light refreshments will be served. Please contact Yeong Kim at kimy1@ohio.edu for further details on this event.